Today marks the YMCA Strong Kids kick-off for the year! Lots of fun & exciting activities happening across Calgary supporting children and youth! YMCA Megathon is happening today at Shawnessy YMCA, Saddletowne YMCA and South Health Campus YMCA! Be sure to visit them dressed as your favourite superhero. 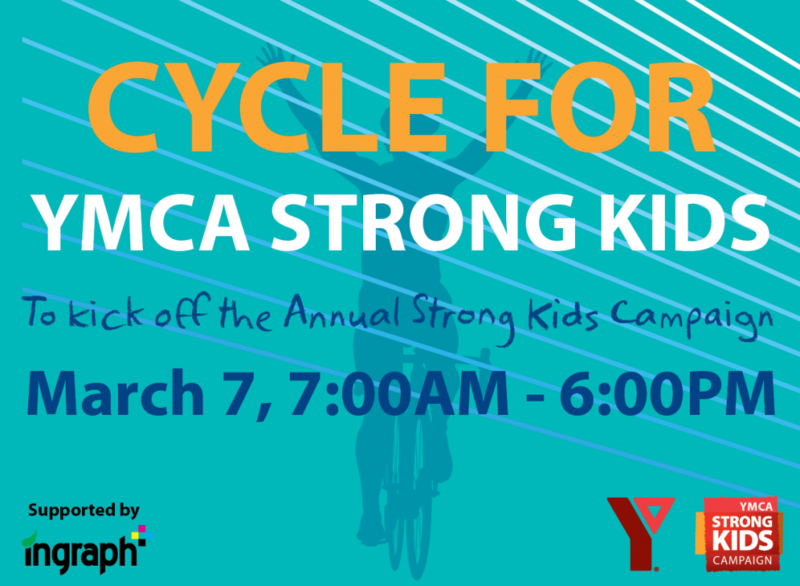 Next week on March 7, the Gray Family Eau Claire YMCA will be hosting Cycle for Strong Kids event. Get on a bike and raise money for kids. Stop by Melcor YMCA at Crowfoot to learn how YMCA Strong Kids supports your community. Can’t make any of these events? You can still support kids and youth by donating online. Megathon – YMCA Strong Kids Kick-Off Event! 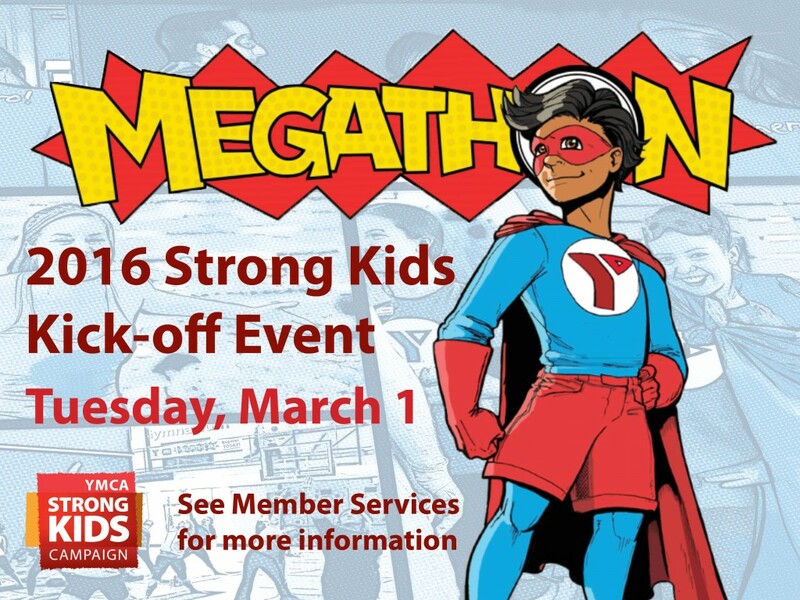 Get your capes ready and tighten your utility belts because on Tuesday, March 1 the YMCA Megathon officially kicks off the 2016 YMCA Strong Kids Campaign! This superhero themed event features a huge variety of fitness events to raise money for youth and children in the community. Your participation and fundraising efforts will directly benefit a child or youth in financial need and will give more young people a chance to thrive at the YMCA. On Tuesday, March 1st, dress up and walk in to any of the three participating YMCA locations (South Health Campus, Shawnessy or Saddletowne) and make a real difference in the lives of the youth and children in Calgary. Just show up and you are signed up! With the goal of making all Calgary kids, healthier, you can have loads of fun and directly support children and youth in the community to have a YMCA experience. Stay tuned for more event details individual fitness events and visit your local YMCA location for more details! 1 in 4 children and youth coming to YMCA Calgary are in need of financial assistance? YMCA Megathon is a great way for you to have fun and raise much needed funds for kids. Stop by the Saddletowne YMCA today and take part in our MEGATHON fundraising event! Raise donations by climbing, swimming, walking, running or cycling- all proceeds go to our Strong Kids fund, allowing children from your community to get active, have fun and be healthy at the YMCA! Donate to Strong Kids today; not all superheroes wear capes! YMCA MEGATHON officially kicks-off the 2015 YMCA Strong Kids Campaign at all YMCA Calgary locations! With the goal of making all Calgary kids healthier, you can have loads of fun and directly support children and youth in the community to have a YMCA experience. Activities will vary from branch to branch so if you’re super keen you can even participate at more than one location! Join us for YMCA Megathon on Monday, March 9! Be a superhero for kids! Individuals or teams can create an online website at www.ymcastrongkids.ca. Once set up, encourage family, friends and coworkers to support your effort by making a donation. 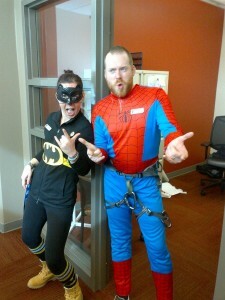 On March 9, dress up like a superhero and tackle a variety of exciting health and fitness activities. Participants will be entered to win YMCA prizes! Visit your branch for a schedule of the day’s events. 1 in 5 children and youth coming to YMCA Calgary are in need of financial assistance? YMCA MEGATHON is a great way for you to have fun and raise much needed funds for kids. Busy that day? You can still contribute. All locations will also have their own webpage which allows anyone to donate directly!